Coming from a small town where our entertainment often consisted of counting the different color of the cars that happened to drive by, VBS was a BIG deal. 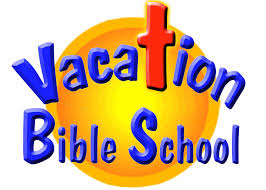 I loved Vacation Bible School and in fact, I still do! My memories include marching into the church while loudly singing “Onward Christian Soldiers”… pledging the American and Christian flags and the Bible… flannel graph lessons, glue, Popsicle sticks… cookies and Kool-aid…and of course, running in the summer heat until sticky with sweat. Ah, VBS! While reflecting on these memories, I found several truths that can be applied to our lives and relationships today. Second is teamwork. Almost all of the games at VBS involved having fun together, not each person wandering off by themselves. Certainly there are times when we need personal space, but when those times outnumber the times we do things together, “Houston, we have a problem!” Husbands and wives remain best friends by being on the “same team” and playing together as often as possible. I could mention a lot of other things, but last of all, I would have to point to the importance of the Word of God. The center of VBS is Bible and that precious book must be the central focus of our families as well. This will only happen as we become “people of the Book”; sharing stories from the Bible with our kids, applying the truths to everyday events and consistently living out that truth day after day. Onward Christian soldiers! Fight for your family with loyalty, teamwork and dependence on the Word of God. The first time I heard that Jesus love me was in VBS. We memorized John 3:16. Also the little song” Oh who cake a flower? No wne but God is true!” I was only 5 then . Now I am 68. I never forgot the verse or the song throughout my life. When I was 19 the LORD saved me. I have been dedicated to HIm since then. And it all began in VBS! Let’s pray for the VBS and the teachers.